For our first Christmas here in Bakersfield, we had family visiting, hence some more excuse to discover the city. 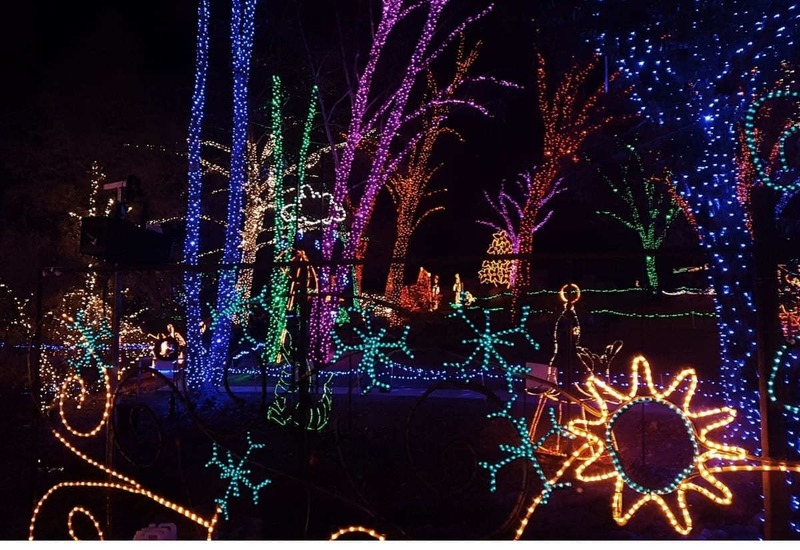 People around recommended the Holiday Lights at CALM zoo, and we indeed enjoyed it much! On a dark night of December, we drove to the California Living Museum for the fist time. Open to the public since 1983, CALM displays, shows and tells Califronia’s biodiversity. It is located on a 14 park-like acres and features over 100 species of non-releasable animals and California native plants and aims “to teach a respect for all living things through education, recreation, conservation, and research”. 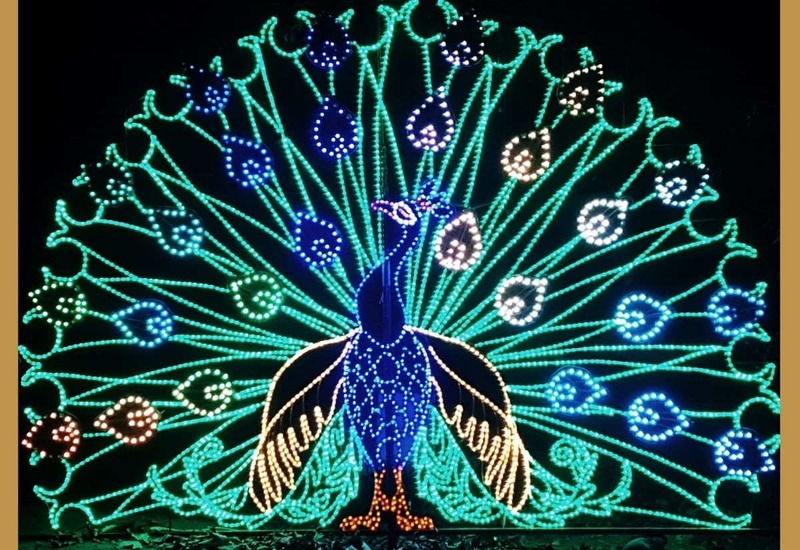 But during Christmas time, at night, when animals are fast asleep, the zoo turns into a festival of lights and sound. 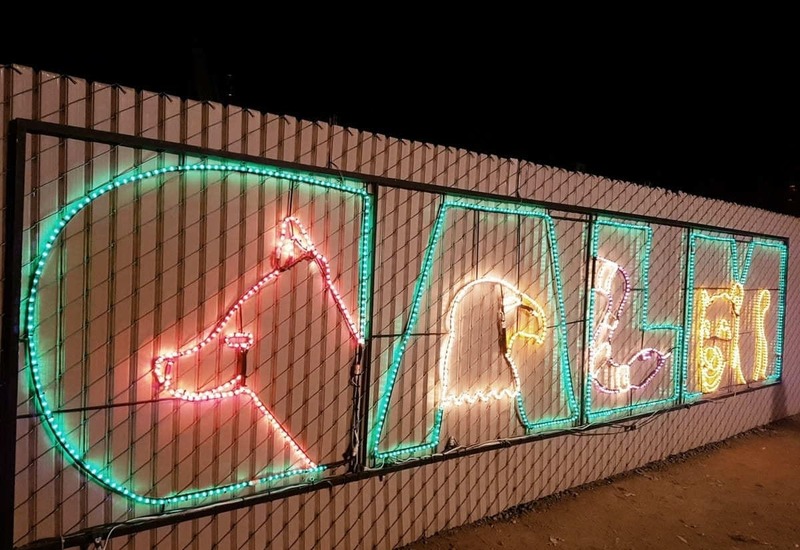 With over 54,000 attendees last year, this holiday tradition was voted Bakersfield Best Annual Event, showing animated displays with more than 3 million colorful, energy-efficient LED lights, designed and installed by Josh Barnett and his company Lightasmic!. It was fun and eerie at the same time to enter a zoo at night. The reptile house was open, right at the entrance, so we started from there. We could see some lights indeed, but nothing compared to the amazing stroll we had right past the welcome sign. 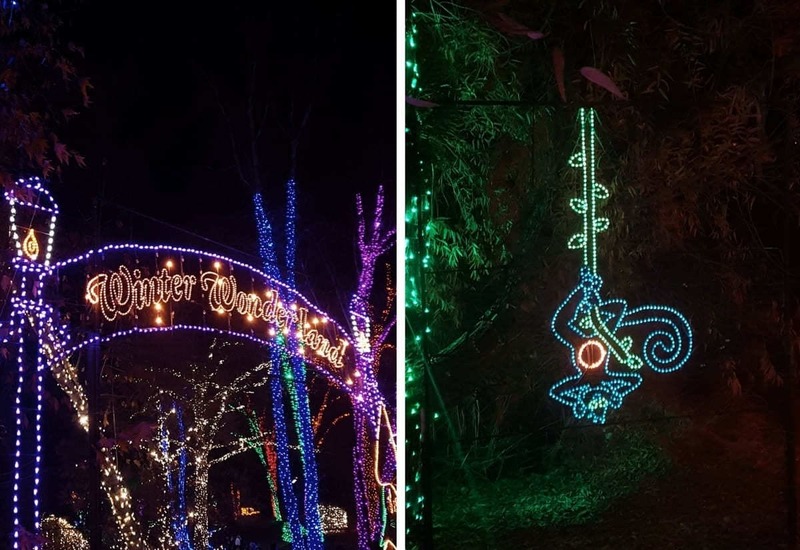 The walk around the park is magical with twinkling lights all over up to the tip of the trees, and a great number of pieces are animated, like the flying eagle, or the very funny swinging monkey. I was also touched by the effort made to remain faithful to the first aim of the zoo, as well as to the core Bakersfield symbols… The famous Bakersfield sign as well as a derrick found their way to the zoo! The whole scenography is definitely well-thought, joyful and well-engineered, so much so that one totally forgets about all the hard work and effort to put such an event together and just enjoys the mesmerizing sight. And I was born and raised in Paris, the so called “city of lights”… that says a lot. Very few animals are viewable during this event, so there’s a good reason to also check CALM during the day later on! And I will. For more information about CALM events, visit their website here.